To serve the requisite demands of our clients, we are engaged in providing a qualitative range of Spherical Bearing. The offered bearings support a rotating shaft in the bore of the inner ring and are precisely manufactured at par with industry standards of quality under the surveillance of our diligent technocrats using quality assured material as well as progressive technology. These bearings are highly appreciated for their dimensional accuracy, easy installation and durability by our esteemed clients. 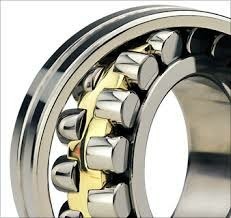 We are dealing in wide range of Spherical Roller Bearings. 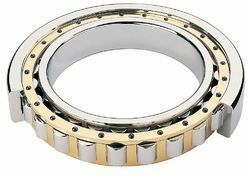 These roller bearings are developed by higher performance materials and do not have a rigid central rib as per with the market standards. Offered roller bearings are tested on numerous parameters of quality in order to supply a flawless range.